Our sales consultants will work with you to understand your requirements and develop a design concept to enhance storage capacity, efficiency and safety, taking into account your operational requirements. A clearly documented layout clearly explains the proposal – and easily allows for customer feedback on the final design and layout of your storage system. Shelving & Racking Australia has an experienced installation team – ensuring your installation is safe, efficient and built to the correct specifications and standards. We can provide Safe Work Method Statements for all installations. 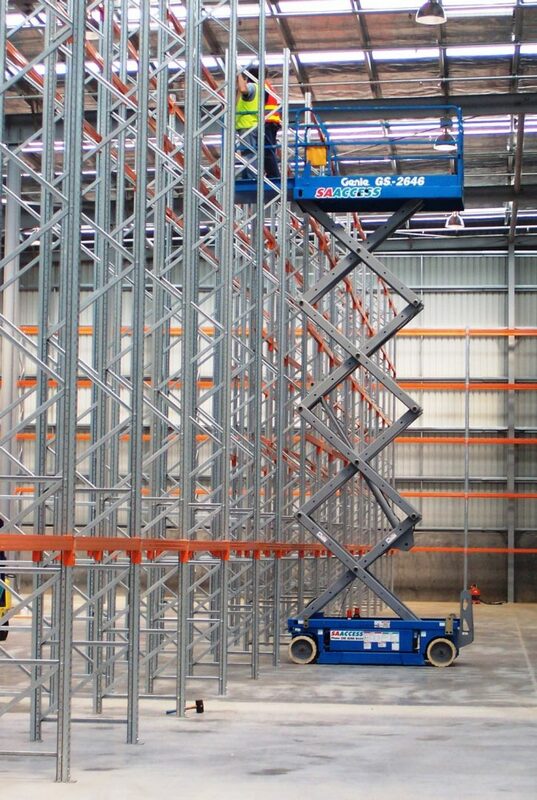 Our experienced installation team can dismantle, transport and reinstall your pallet racking and shelving. 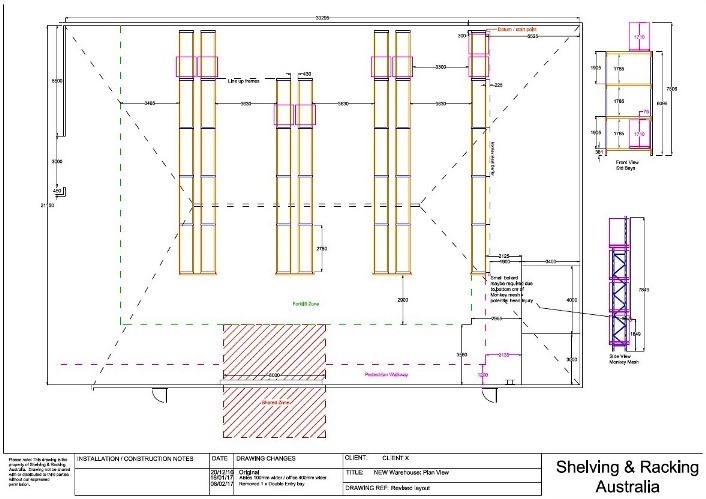 We can provide an assessment of your existing pallet racking system prior to your relocation project to ensure it complies with pallet racking standards and safe working loads can be correctly applied. Damaged pallet racking should not be reinstalled – we can undertake repairs and maintenance or assist with replacement components to ensure your pallet racking is reinstalled safe and ready to use. Rack damage can impact the safety of your racking installation and put your staff at risk! We provide a written report with all inspections and a quotation for any repair works if required. Please contact us to book a rack inspection or arrange a quote.